Custody evaluations are becoming almost a default part of the child custody process. Child custody evaluations may be undertaken voluntarily by the parents involved in a child custody dispute or be ordered by the family court, something that is occurring with greater frequency nowadays. 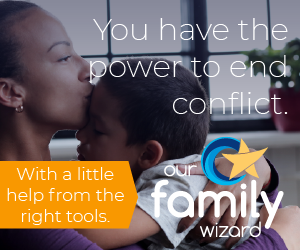 In a high-conflict child custody case, accusations of every sort are flying in one or both directions as parents try to position themselves to maximize their child custody. It’s a scary time for each parent, no matter their motivations. Life has changed significantly forever and you’re faced with never being as much a part of your children’s lives as you would be in an intact marriage. With so many accusation being levied, it often takes the efforts of a professional custody evaluator to sort out the truth from the fiction – and even then it’s a very difficult undertaking. As a parent, you will walk a fine line between appropriately preparing a child for the meeting with the custody evaluator – and “coaching” (used negatively) the child to say what you want. If you’re dealing with a high-conflict ex-spouse, count on them doing the coaching. You have no control over their behavior. You can only control your own. Prepare your child for the custody evaluation is no different than you would prepare them to meet any counselor or therapist. Don’t pressure the child. They’re already experiencing a high level of pressure and fear with the divorce and custody situation as it is. Don’t set any expectations for them or imply that the custodial arrangement hinges on what they say. Don’t coach! Whatever you do, don’t tell the children what to say, how to say it, or what not to say. A good custody evaluator will ultimately be able to tell if the child has been coached. This will usually be based on the child speaking about matters “above his/her head” or using language that is well in advance of their age. If a child has a genuine fear of one parent or the other – they will be able to articulate that in their own words. There is little doubt that a genuine answer will be quite different than a coached answer and the accompanying level of emotion will often differentiate between truth and fiction. The most important part of preparing a child for the custody evaluation process and meeting with a custody evaluator is to assure them that everything will be okay. They need to relax, tell the truth, and let the adults sort out any issues that will come from the meetings. Time is on the side of the parent who is telling the truth. The experience may be long and painful for both you and your children. In most cases, please take solace in knowing that as the children grow, learn, and become independent thinkers – they will know the truth and they will come to understand the people who was truthful and worked tirelessly to protect them from the stress and pressure that is part of every high-conflict divorce and child custody matter.